Use warranty check to enter or import serial number information to retrieve warranty status for your devices. Check your device's warranty status with Warranty check. For devices managed by iLO Amplifier Pack, use iLO Amplifier Pack Product Entitlement Report. Use warranty check to retrieve the status of your warranty, including service type and level, coverage dates, deliverables, and other details associated with your warranty. Note: Warranty check does not retrieve support agreement information. For support agreement information click HPE Software updates and licensing in the main menu. Contact HPE Support if you cannot find the label. You do not need to be signed in with your HPE Passport account to use warranty check. However, signing in does provide you with the option of linking warranties to your account. It also lets you store, view, and manage your products more quickly and easily. Option 1: main menu > Warranty check. Option 2: On the HPE Support Center homepage, click Check Status. Enter the product serial number in the form. The country of purchase defaults to your current locale. Change it if necessary in the drop-down list. Repeat steps 2 through 3 for all of your serial numbers. Click Add more warranties to check up to 20 warranties. If you receive an error message for a warranty, verify your data entry, then follow the on-screen instructions or remove the item from your list. Then click Submit. If you re-enter the values and it still returns an error, contact HPE Support. 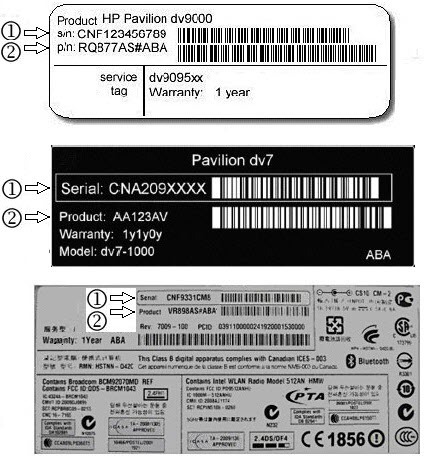 The expiration date of a warranty is based on the purchase date, if the product was registered with HPE. Otherwise it is estimated based on the manufacture date. Note: The warranty status displayed is subject to the terms of the applicable warranty policy and may be updated from time to time. To view details about a warranty, click View details or the serial number in the Identifier column. To link the warranty to your HPE Support Center profile, click Link warranties on the details page. For more information about linking, see My contracts and warranties. This tool allows you to perform an entitlement check for your devices managed by iLO Amplifier Pack to ensure your devices have active hardware support and are eligible for product updates. Upload an iLO Amplifier Pack Product Inventory CSV file to generate a report that contains the entitlement status and expiration date for each device. In the left menu, click iLO Amplifier Pack Product Entitlement Report. Follow the steps listed on the upload page to generate an iLO Amplifier Pack Product Entitlement Report CSV file. This file will contain the serial numbers and product numbers for your devices managed by iLO Amplifier Pack. Note this requires iLO Amplifier Pack 1.3. For more information about how to generate the report, see the iLO Amplifier Pack User Guide at: www.hpe.com/support/ilo-ap-ug-en. Click Choose file to browse to the CSV file on your local computer. After you upload the CSV file a file check occurs to verify the information in the CSV file. If the upload fails, a message explains why. Address the reason for the failure and retry the upload. If the upload was successful, a success message appears. Click Close. When the report is complete, HPE Support Center sends you an email notification. Make sure your HPE Passport account contains a valid corporate email address to receive the notification. Note the time required to generate the report depends on how many devices are managed by iLO Amplifier Pack. Failed. See the explanation for the failure in the Error column. To download the report, click the download icon next to the report name. See below for a description of the report's fields. The most important field to note is capabilityStatusCode, which tells if your device is entitled to firmware downloads. serialNumber Serial number for the device that being evaluated. productNumber Product number for the device being evaluated. countryCode The country code where the device is located. This value is retrieved from the input CSV file. You can find your country code at the International Organization for Standardization web site at: www.iso.org/iso/home/standards/country_codes.htm. FWDL—Firmware Download for the iLO Amplifier. requestTimestamp Time when the file was uploaded. This is the same value across all devices within a request. checkTimestamp Time when the device check was started. Result of whether the device is entitled to the capability. Y—The device is entitled for the capability. N—The device is not entitled for the capability. capabilityEndDate The furthest out end date of all the entitlements associated with the device that enabled the capability. A "null" value means the capabilityStatusCode is "N". requestStatusCode The results of the device processing. Values can be "SUCCESS" and "FAILED", and indicates if the capability is successfully retrieved. completedTimestamp The time when the entitlement check is completed for a device. evaluationMessage Indicates whether the capabilityStatusCode evaluated to "Y" or "N". For "N", the field value explains why the device evaluated to "N". Contact your HPE sales representative to add support for any devices out of active hardware support.